Suzanne Loudin practices all areas of family law, including contested divorce litigation, child support, child custody and visitation, property division, modification, spousal support, mediation, and marital property agreements. While attending college at the University of Texas at Austin, Suzanne focused on American Studies and Government. She further developed her interest in government and our legal institutions by attending law school at St. Mary’s University School of Law. Suzanne began focusing on family law at the Attorney General’s office in the Child Support Division. She negotiated, enforced, and modified support orders, as well as represented the State of Texas during trials. After honing her family law skills with the Attorney General’s office, Mrs. Loudin opened her own law office prior to joining Gauntt, Earl & Binney, LLP. Her work at Gauntt, Earl & Binney focused on solely family law until she became a partner at Reitzer, Loudin & Montgomery, P.C. Her diverse background, including her experience employed with a government agency, give her a unique perspective in family law matters. 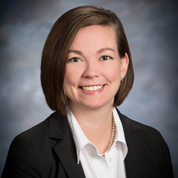 She is a fierce advocate for her clients and has handled multiple jury trials, serving as lead attorney, as well as an Amicus Attorney representing the best interest of the child or children involved in the case. Suzanne has lived in Montgomery County since 2003. She has served as President of the Montgomery County Bar Association, and she is actively involved in a variety of local organizations, including SCFL and the Advisory Committee of the Dispute Resolution Center. Suzanne and her husband, Shawn Loudin, are both Native Houstonians who have three children and spend their weekends watching as much football as possible.